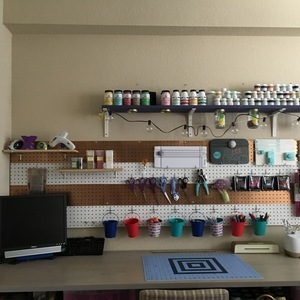 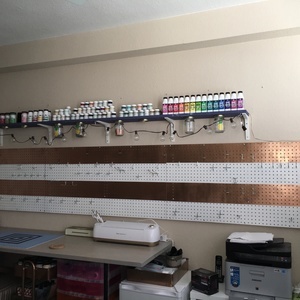 This is the pegboard I installed in my craft room. 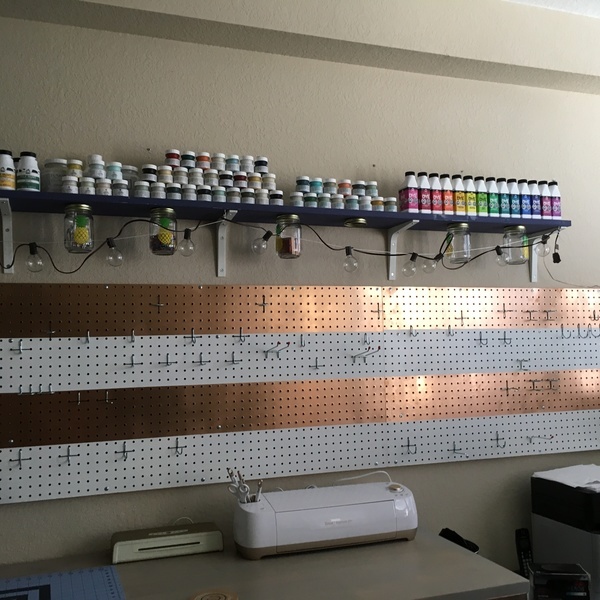 It's (3) 2ft x 4ft boards spray painted and screwed onto 1/2" drywall strips that I screwed onto the wall studs. It holds all my tools plus more that I have yet to put up. I also put up my shelf that holds all my furniture paints and my craft table that I made out of a solid piece of oak for the top and for the legs, I used (2) 15ft black iron plumbing pipe that I had cut and threaded at the hardware store. 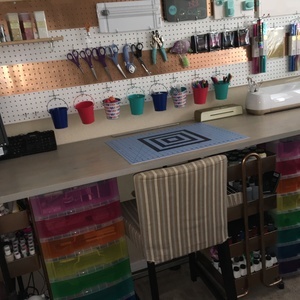 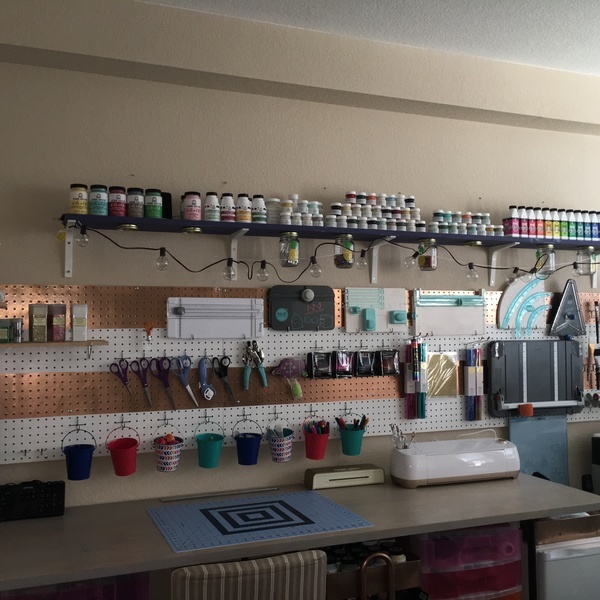 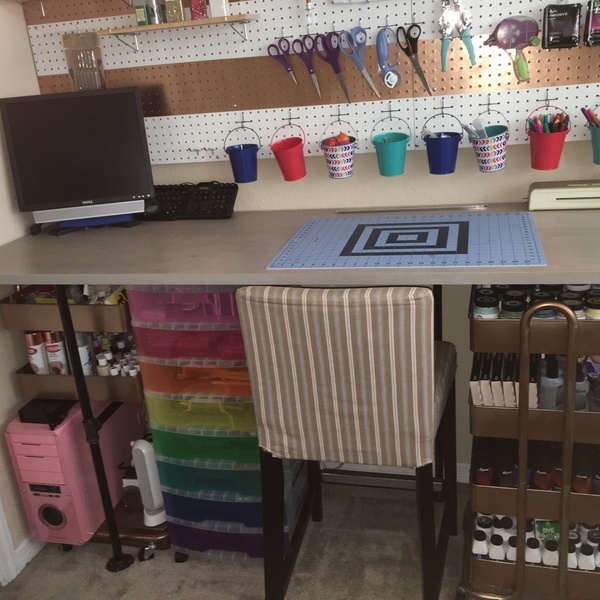 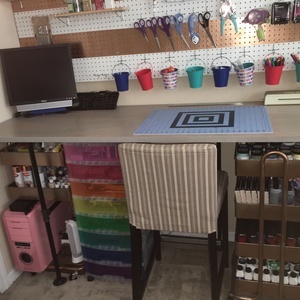 Now that's a craft room! 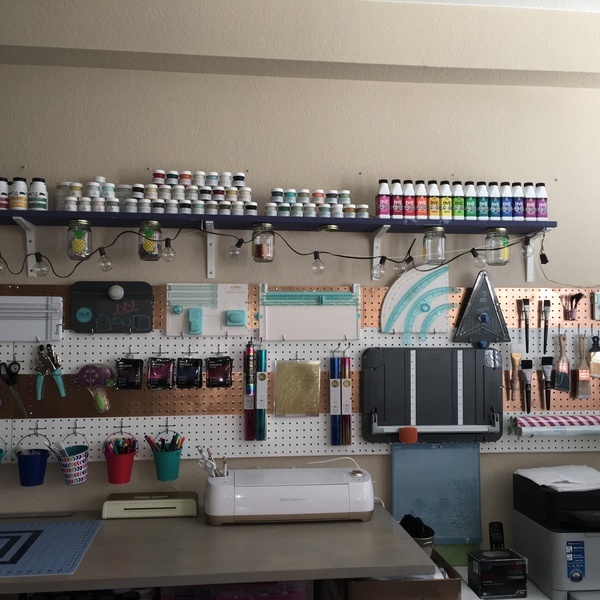 This looks incredible. 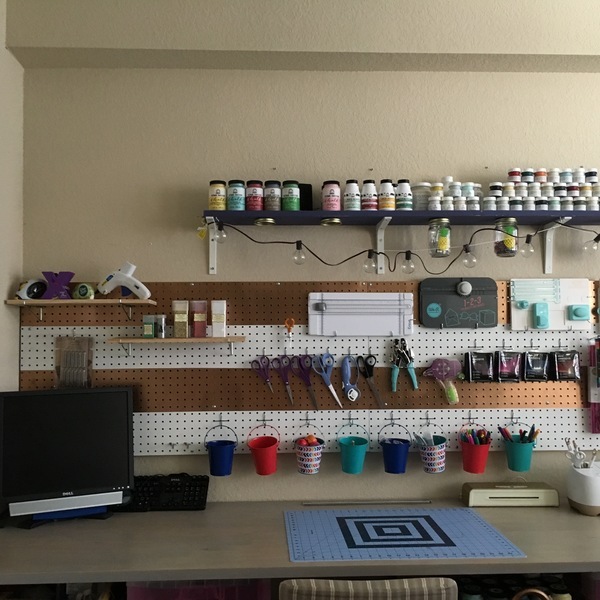 Nothing like a perfectly orderly space to let your creativity flag fly!